COLORADO SPRINGS, Colo. — A mere week after SpaceX launched a previously-flown Falcon 9, the head of Air Force Space Command said Thursday he's open to conducting national security launches with reused rockets. "This is just beginning. They've only flown one," he said. "I think the industry is going to go this way. I think the reduced cost of this is going to drive industry this way. I don't think we can say we won't follow suit. We will make sure we do it in a smart way, and as this materializes we will make sure that we have the processes in place to do it safely and securely." 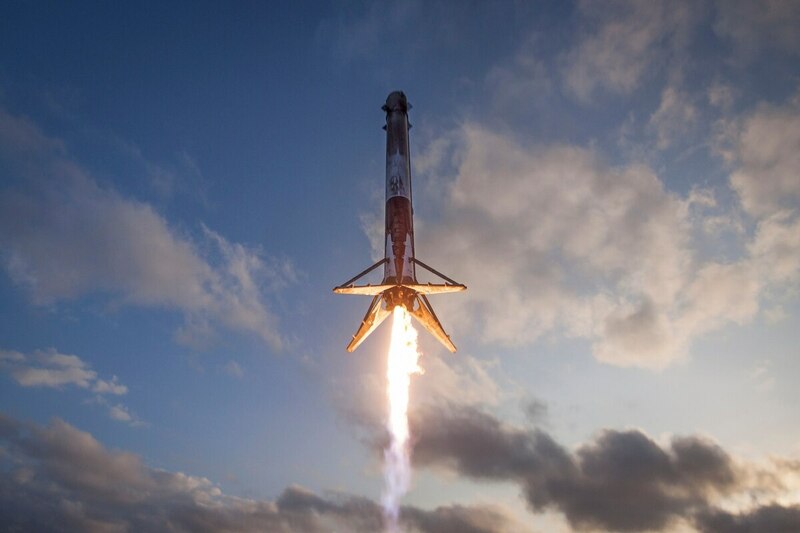 SpaceX broke new ground March 30 with the launch and recovery of a Falcon 9 built with a previously-used first stage, and this week's space bonanza provided a venue for the the company to take a victory lap. During a Wednesday speech, Gwynne Shotwell, the company's president and chief operating officer, called reusability a tremendous capability that ushers in a new era of space launch. "I think the other launch providers, or most of the other launch providers — certainly the ones are flying now — think that it’s not worth it. That for their particular technology, it doesn’t work for them," she said. "I think you’ll see that position changing, but it worked for us." She also discussed SpaceX’s next big goal: launching and recovering a rocket, turning it around, and then doing it all over again a day later. "Reusability, we don’t believe it really, really counts unless you can turn it around as rapidly or almost as rapidly as you turn around an aircraft," she said. "Basically, you land the system, you land the stage, you do some brief but important critical checks and inspections, you refuel, and you re-go. So our challenge right now is to refly a rocket in 24 hours. That’s when we’ll really feel like we got the reusability piece right." In addition, SpaceX wants to begin recovering the rocket fairings to further shave cost. It was able to recover one fairing after last week’s launch, but would like to bring them all back, she said. While SpaceX has is all-in on reusability, other launch providers are more skeptical. United Launch Alliance, the Lockheed Martin and Boeing joint venture that was the sole Evolved Expendable Launch Vehicle provider for years, wants to eventually be able to recapture the Vulcan’s engines, but that won’t happen until the 2020s. That’s a different economic model that would allow ULA to recoup about two-thirds the cost of the booster compared to SpaceX being able to bring back the entire first stage, but it may result in more overall cost savings, its CEO Tory Bruno told Defense News in an interview. "When you’re getting a booster back, you get the whole booster, but you can only do it when you didn’t have a very heavy spacecraft, because you have to save fuel to fly home with and if the spacecraft is really heavy, you’re going to burn up all your fuel when you dump it in the ocean," he said. "Which will be more economically beneficial? We’re going to find out." The final version of Vulcan — called Vulcan ACES — could provide an even more exciting opportunity to repurpose previously-launched rockets. The vehicle will have a reusable, refuelable upper stage that can stay in space and conduct other missions for years at a time, Bruno added. "So it opens up this cislunar economy because you start creating a transportation system in space," he said. "There are these space pickup trucks all of a sudden." Orbital ATK will not pursue reusability in any form for their Next Generation Launch System, preferring instead to lower costs by using common parts and materials with its current rocket line. Mike Laidley, the company’s vice president of space launch programs, contended while SpaceX’s reused Falcon 9 launch makes for great photos, it may not make for the best-value launcher. "We understand reusability, and reusability is not free. It comes with a cost to recover the asset, to reprocess, to inspect," he said. "Launch vehicles are unique in the sense that they are really highly tuned. People compare them to aircraft, but aircraft have factors of safety and margin that allow them to fly for a decade or more. Getting out into space and escaping gravity is really hard, and so the margins on those systems are not the same as the margins on aircraft."